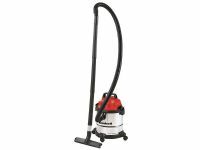 The Einhell TC-VC 1812S Wet & Dry Vacuum Cleaner is ideal for simple wet or dry cleaning around the home. It has a 12-litre stainless steel container that is easy to clean and collects rough, fine, wet or dry dirt and fluids. 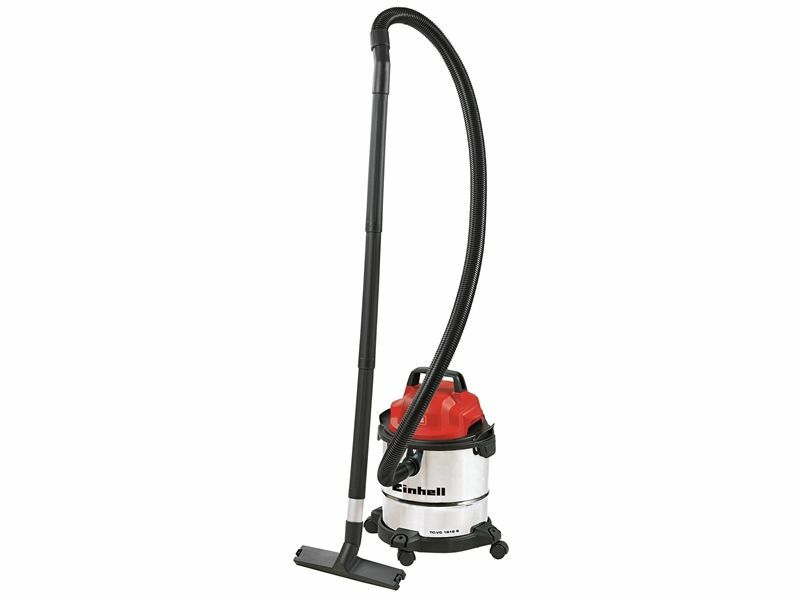 The powerful motor provides a great suction performance, as well as a practical blowing function. The robust dirt bag retains even fine dust in the system reliably and so vacuum-cleaning becomes a clean affair. During wet cleaning, an additional foam filter protects the motor against soiling. 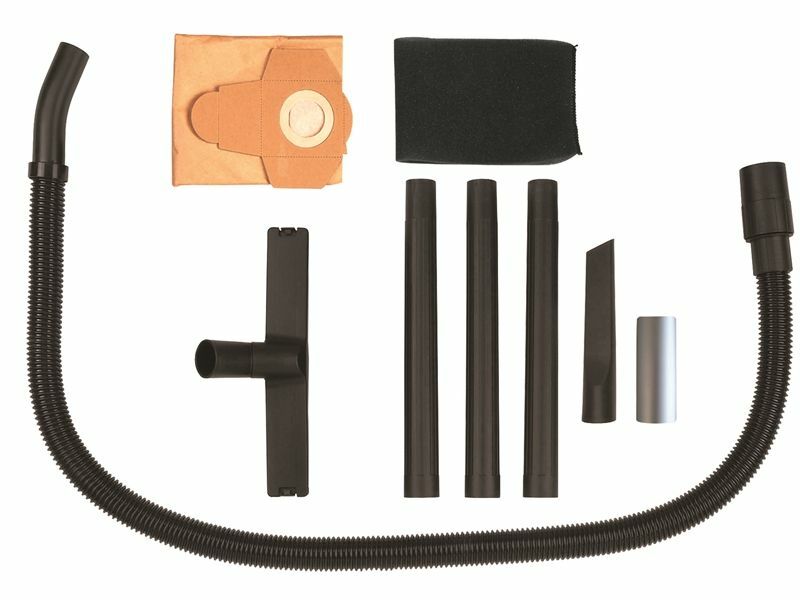 Complete with a range of accessories that can be stored on the body of the vacuum.